Use meat, chicken or vegetable broth. Simmer bones and other parts of meat that you don’t need (sometimes butchers give them away) for several hours. You can also cook the edible parts until cooked through, take them out, separate the meat for another dish (or the soup) and return the bones to the pot. Make stock from the carcass of roasted chicken or turkey. Cover it with water and simmer on the stove or in the crockpot. Use drippings from roasted meat. Store broth in small containers or make ice cubes to add to soup or other recipes as needed. Sauté mushrooms or onions until brown to add rich flavor. Fresh herbs (coriander, dill, parsley) and greens (spinach, beet greens, chard, cabbage) make a huge impact. Chop and add in the last 10-20 minutes or as a raw garnish. Fresh vegetables are the heart of good soup. In addition to mushrooms, onions and greens, you can include celery (with leaves), pumpkin, carrots, potatoes, sweet potatoes, turnips, beets, leeks, peppers, chili peppers, or squash. Adding a small amount of an unfamiliar vegetable is a great way to introduce it to the family. Experiment with different-sized vegetables. Chopping them finely or pureeing them at the end makes soup thicker. To make mushroom barley soup, my friend Amanda grates and sautés half the carrot, onion and mushrooms. She adds the rest in larger pieces along with the cooking water. Roasted vegetables add a distinct flavor. Add a starch like rice, barley, quinoa, or oatmeal. These add texture, but you will need extra seasoning to offset their bland taste. Add them early enough so they will cook through. Add cooking water from pasta or vegetables. The cooking water from beans adds richness. Add Tamari sauce, flavored vinegar, or lemon juice. Tamari is similar to soy sauce but made of fermented wheat. It is high in salt so don’t overdo it. Make your own mix with dried herbs or spices. Experiment with spices. Try ginger, cumin, turmeric or paprika. And don’t forget good old fashioned black pepper. Add homemade white sauce to make a cream soup. Add a can of tomatoes or a few tablespoons of tomato paste. Add beans or legumes. Red lentils cook quickly and don’t need pre-soaking. Puree larger ones for picky kids. Add salt if you must, but experiment with cutting down the quantity. My husband has become sensitive to over-salted foods. Don’t forget leftovers from vegetables, meats, stews, sauces and other soups. Add at the end and return the soup to a boil. Add a garnish when serving such as croutons, fresh chives, yogurt, or sliced radishes. 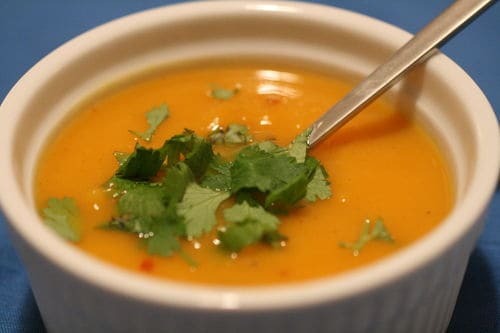 What tricks can you share to make natural soups tastier? For a “meaty” vegan/parve broth, I boil several types of mushrooms, like shitake and porcini. It tastes different than frying fresh mushrooms. The meat ideas are interesting, but what do you do after you have the broth? Use it instead of water? I especially worry about the monosodium glutamat found in so many powders. Great tips! Thank you, Vered, for visiting. Keep the hard rinds of block Parmesan cheese in the freezer and add them to the soup. It adds depth of flavor without actual cheese. I see I missed some comments. Liz, I also like the rich flavor of porcini and shitake. Linda, thank you for that idea. I don’t buy parmesan so I didn’t know the tip.